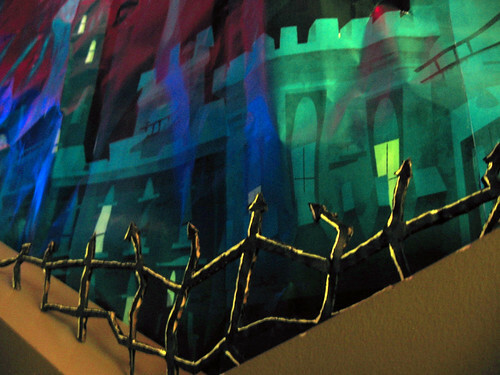 A couple more shots - these courtesy of CG production assistant Dan Garza - of the Fanboy-themed area at Friday’s Halloween party here at Nickelodeon. Thanks, Dan. 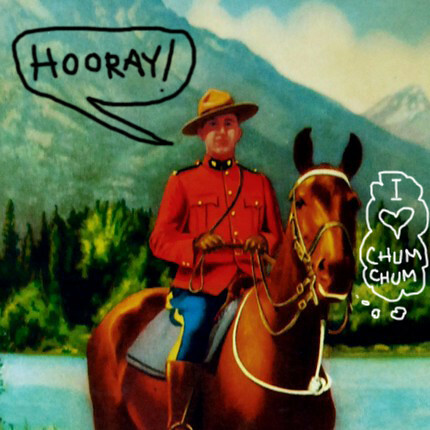 Hello, Friends to the North. 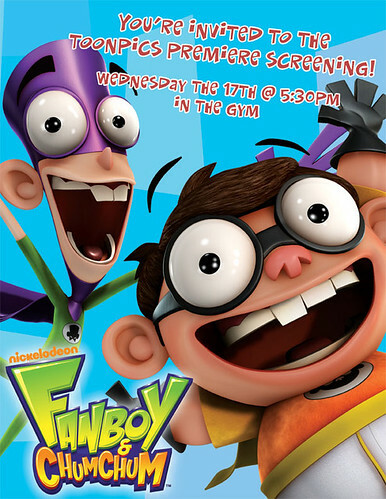 First you taunt us Americans with your publicly-funded health care system, now you get the premiere of Fanboy and Chum Chum a full four days before we do. How’s that happen? 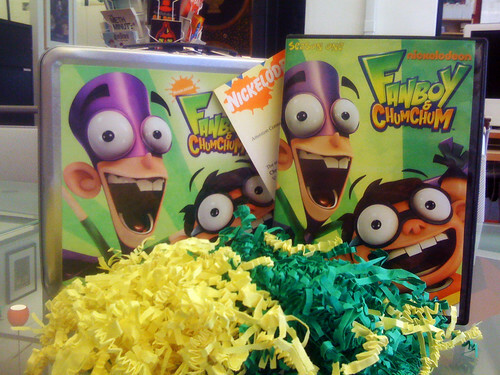 Well, it’s all part of the very first day of Nickelodeon in Canada. Read about it here. So, if you’re in Canada, set the timer on the oven for 7:00 p.m. ET, Monday night, November 2. Those of us in the U.S. must wait until Friday, November 6, at 9:00 p.m. for the big launch. A bit of the Eric Robles story. Eric Robles at Nickeldeon from fredseibert on Vimeo. Anne Mullen, Nickelodeon promotion honcho, saw on the PR sheet that Eric’s story was a possible pitch to newspapers and magazines, and wondered exactly what his “story” was anyway. So, as Eric was telling them his path into the biz I started up my crappy phone video. The quality’s not too good so I’ll transcribe it below. 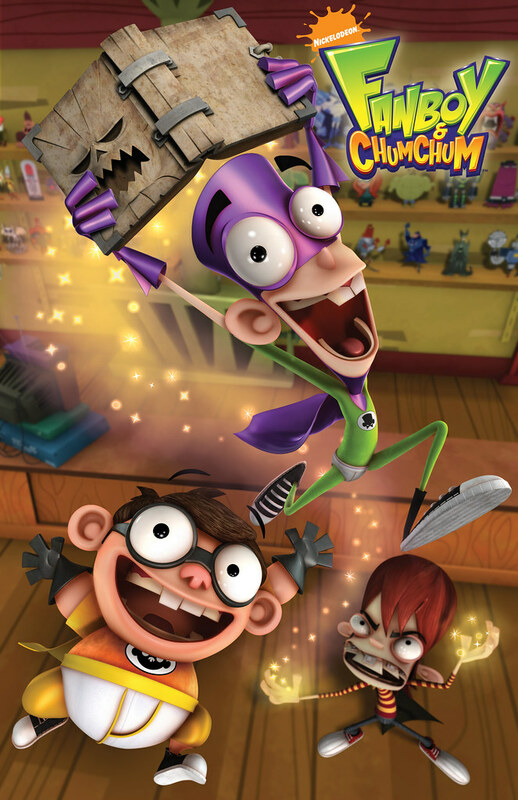 The enclosed episodes of Fanboy & Chum Chum have been fortified with Vitamin HA-HA and is certified to deliver 100% of the U.S. Daily Recommended Allowance of Funny. That’s Eric and Jamie Kennedy, the voice of Kyle, above, signing posters. Boy, looking at these pictures, it’s kind of hard to believe Eric Robles would’ve come up with a character named Fanboy, huh? Hey, are you going to Comic-Con in San Diego this week? Well, if you are, you’re nuts. 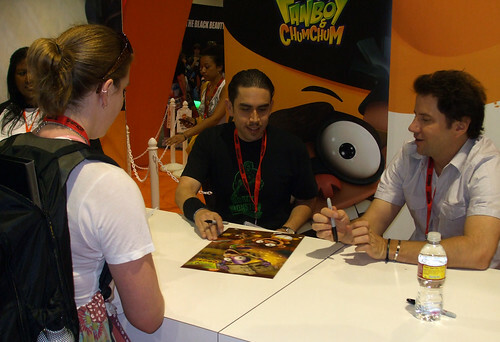 And, if you’re nuts you’ll want to swing by the big Nickelodeon booth (#4113) at 10:30 a.m. on Saturday to schmooze with Mr Eric Robles, the famous creator of Fanboy and Chum Chum. If you’re real nice, he’ll even sign one of these exclusive posters, above, for you (image not to size! ).The poster was roughed out by Eric and rendered by the Nick CG department before Chad Woods colored it and added the effects.